A NEW BREED OF PET INFO ORGANIZER. 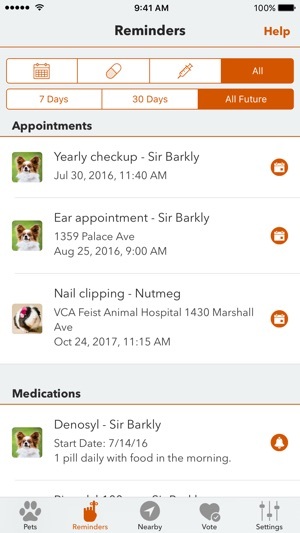 Medication notifications, vets, local services, photos, appointments, reminders, vaccinations, weight graphs, IDs and a lot more. PURRFECTLY ORGANIZED. 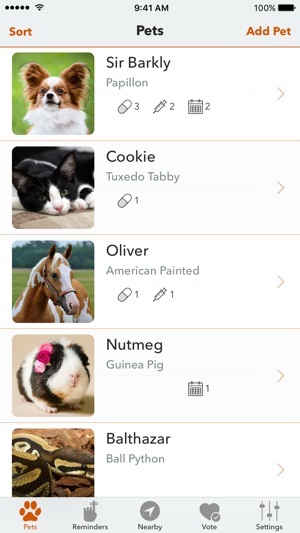 Easily keep track of all your pets' info so that it's always just a whisker away. Works great for just your own pets or if you're managing a lot of animals. NO PAW LEFT BEHIND. PetFetch lets you add an unlimited number of pets, from the littlest hamster to the sturdiest horse, and every lovable creature in between. NO MORE ADS! 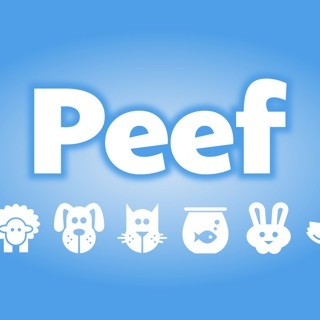 Please consider buying a PetFetch Pro subscription to support PetFetch. Excellent for tracking pet data! I was looking for a way to track my kittens' weight, and this is a great solution! 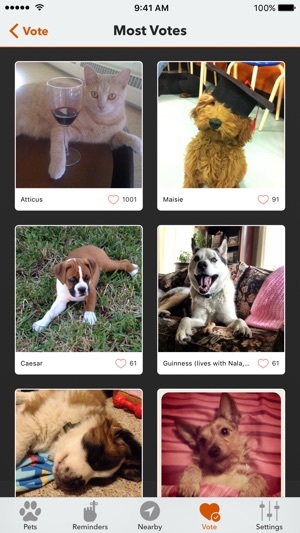 Of the few apps I found that were pet-centric (I also looked at baby weight apps), this has the best mix of features and usability. 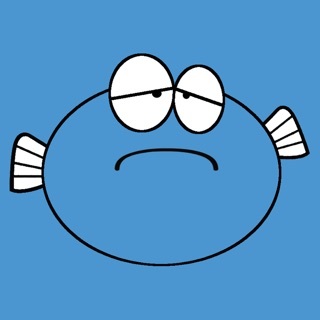 I really wanted an app that would provide a graph of the weight over time, which this app provides. It would be nice if the graph were a little more detailed (the y-axis seems to show only whole numbers--e.g. 8, 8, 8 instead of 8, 8.25, 8.5, etc) but that's a minor quibble. The developer was also very responsive to feedback and replied promptly to questions. 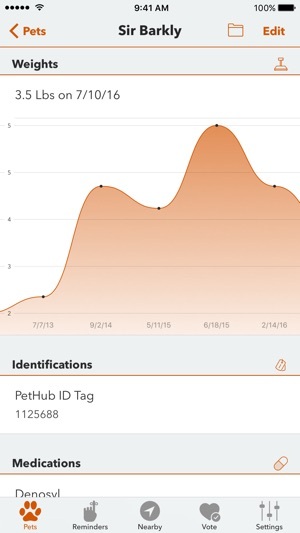 Overall, it's a terrific way to easily track your pet's data, and to make sure it is handy at your vet appointments! Highly recommended. Version 4.0 and up now has Forgot Login features. Please give it shot and consider updating your review. You may also contact support directly if you ever have a login issue. 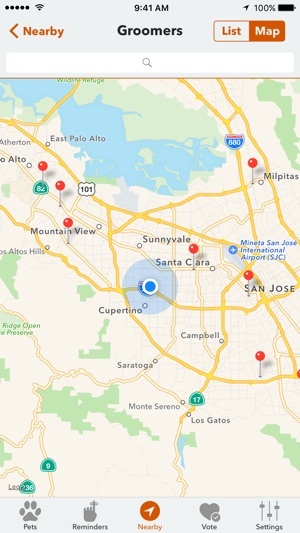 Thanks for using PetFetch! I love this app! It’s a quick and easy way to gather your pet’s information. The only thing that I don’t like about this app is that in order to have over three pets on the app, you have to pay for a subscription, and since I have four pets, I can only list three of them. The add asking to subscribe on the home screen is also a little annoying, but overall, wonderful app!